Remember, an athlete is solely responsible for any substance they use, regardless of the route of administration. Athlete support personnel, including coaches, parents, and medical staff, should also be familiar with the Prohibited List to help protect the clean athletes they support. Learn more about the rule change regarding cannabidiol and why CBD products are still risky for athletes. Don’t forget to use the tools below to check the status of specific substances, products or ingredients, and to learn more about dietary supplements. For additional help, direct questions to Athlete Express via phone or email. 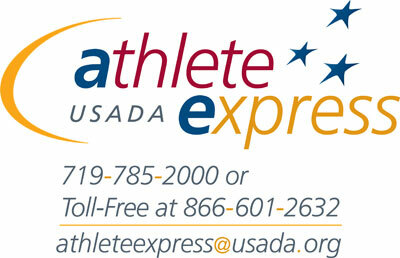 Contact Athlete Express with questions at 866-601-2632 or at athleteexpress@usada.org.